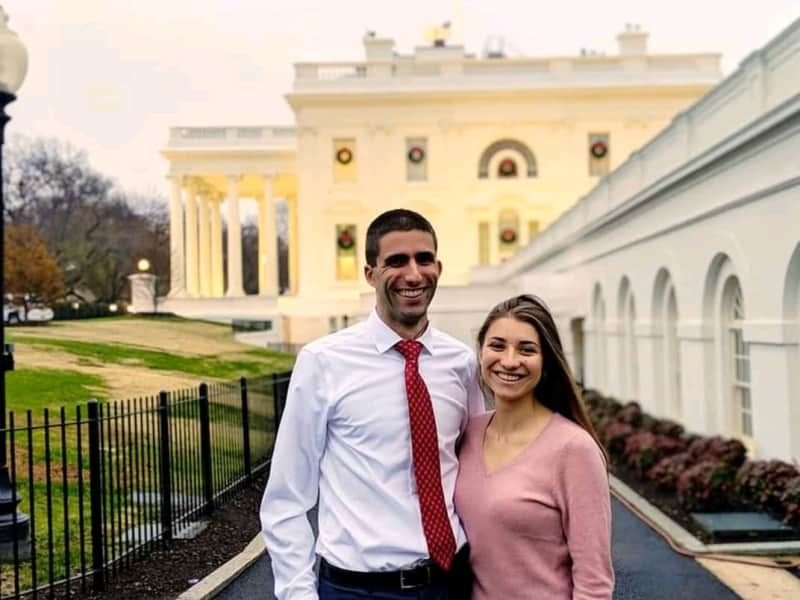 Louie & Emily are from Washington DC, USA and are embarking on a 1 year sabbatical beginning in Summer 2019 to travel the world before returning to our careers in DC and starting a family. We consider ourselves old souls, preferring early bed times and quiet time spent reading. We met at The Catholic University of America in DC and both began working for the U.S. Federal Government our sophomore year of college. After 8 years of dating, we got married in October 2018 in DC and have loved every day of married life. Louie holds an undergrad and Masters degree in Economics and has worked for the White House, Consumer Financial Protection Bureau, and Bureau of Economic Analysis. Emily holds degrees in International Business, German, as well as an MBA and has worked for the U.S. State Department and the White House Office of Management and Budget (civil servant). • Super clean. Our friends & family think its strange how our home is always spotless. We treat every home we visit as our own and promise to love your pet as our own. - he loves to leave airbnb's each day with a professional tuck and often a towel animal. We always leave each room we stay at exactly as we found it (often cleaner!) . We believe in slow travel because we love familiarizing ourselves with the local community, not as a tourist, but living like locals. House sitting allows us to discover new places, develop pet friends around the world, and help others experience the joys of traveling knowing their pets are well cared for and loved. Unfortunately our apartments in DC did not permit us to have pets of our own, so we focused our time and energy on traveling and took every opportunity we could to house sit for friends, colleagues, and neighbors. Through house sitting, we have fallen in love with over 40 pets while enabling others to experience the joys of traveling with the peace of mind of having their home & pets cared for. We have cared for dogs of all breeds and sizes (list below), a cockatiel bird, multiple cats, both freshwater and saltwater fish, a chinchilla, and many more. Louie even cared for his neighbor's horses, goats, and chickens early every morning for over 10 years! Emily is an approved Wag! Walker having passed all of the required training's for properly caring for and walking different dog breeds. There isn't a dog she has passed without asking to pet it and falling in love (German short hairs, golden retrievers, cocker spaniels, toy poodles, Australian labradoodles, black labs, dachshunds, pugs, airedale terriers - the list goes on!). 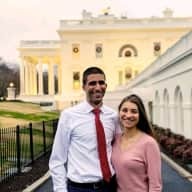 Louie and Emily are go-to house sitters in the neighborhood and among friends and coworkers in DC. We care for pets, water plants, mow lawns, pick up mail, pick up dog poop, dust, vacuum, etc. Growing up, Louie regularly checked in on more than 15 houses while neighbors were on vacation. For four years, Emily was responsible for walking and caring for a neighbor's Airedale Terrier every day. During college, she walked the university president's dog multiple times a week. We love keeping busy and giving back to our neighbors. Emily and Louie are WONDERFUL. Not only are they excellent at watching my dog and cat, but they are just all-around magnificent and interesting people! I am so impressed with their ability to always be on top of things. When I tell Emily about an upcoming sitting need, she adds it right in her calendar and proactively reaches out to me before I leave. I love it!! I met Louie a few years back through work and asked him to house sit since I heard he is good with cats, which I learned he is. I also couldn't believe that Emily actually reads books about caring for dogs in her spare time - she loves Cesar Millan (dog whisperer) as much as me! She was even willing to train Felix to walk more gently on walks (something I've wished I had time to do). Louie and Emily make a great team. All three of us will miss them next year when they are on their travels and and I look forward to being able to call on them again once they return! As a co-worker of Louie, we have had Emily and Louie house sit for us on 5 different occasions while we are away on travels ranging from a weekend getaway to a three week trip. With each sit, they have always followed our instructions to the letter (Rufus requires a fairly strict routine in his old age), and have gone above and beyond our expectations. They would provide a photo at least once a day walking or playing with Rufus. We have never seen Rufus take to a stranger as easily as he did with Louie & Emily. They are great with animals. In addition to caring for Rufus and our plants, they were excellent stewards of our home. I am convinced after every trip our kitchen and bathroom is cleaner than when we left it. They even pick up milk and have a pasta bake pre-made waiting for us in the refrigerator to help with the transition back home. They are clean, professional, and respectful both in a work environment and as house sitters. Emily and Louie have been absolutely fabulous as house sitters for me and my husband over the past few years. Our cats need company and our chinchilla has extreme sensitivities. Emily and Louie know exactly what to do for all of our pets. My neighbor recommended contacting Louie and Emily a few years ago to help with sitting and they have been my go to sitter ever since. They are so reliable, not to mention responsive and professional in all of their interactions and care of our home. Most importantly, it is clear how much they genuinely care for my two cats and chinchilla. I am sad to hear I will be losing my go to sitters, but so excited to support their big trip around the world! You can rest assured that your home and pets, wherever in the world you may be, be in excellent hands with these two. Fully recommend and wish them the best of luck with their travels and future sittings!